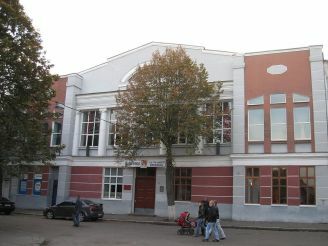 Theater named after Ivan Kocherha located in Zhytomyr . It is a well-known talented team that is known far aisles Ukraine. Today, the theater operates 66 actors. All of them create wonderful masterpieces of theatrical art, leaving the scene. Theatrical life in Zhitomir began a long time ago. Citizens often raised the issue of creating theater, once their dream come true, in 1809 it created. In 1858 the building was built for the theater of stone, it was the only one in the country. This structure and still serves the local population, there is now only Philharmonic area. 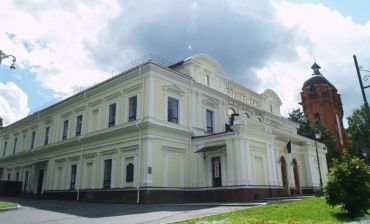 In the early 20th century, the city organized by Ukrainian independent theater, later it will replace the Drama Theatre. Shevchenko. 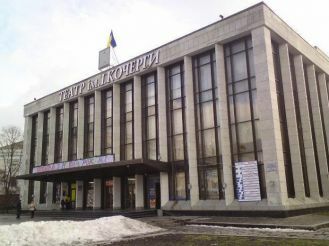 In the 30 years in Zhytomyr place Kiev theater, then attach Zhytomyr Theatre, 1934 acts Music and Drama. 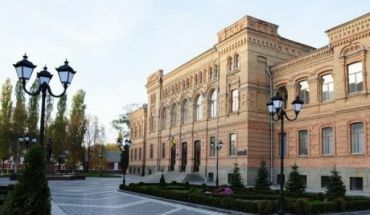 In 1937, with the base of the Zhytomyr region give the name of the theater named after Shchors. Unfortunately, the theater during the war, he moved to the east, and so stayed there. In 1944, January 8th Theater gives first performance, "Natalka Poltavka" This day is considered the birth of the collective theater. I. poker. In 1966, for the theater building large building, it contains large and small halls, rehearsal, and more. In 1981, we celebrated the 100th anniversary of Russian playwright Ivan Kocherha known that more than 20 years he lived in Zhitomir, then the theater got its name, which exists to this day. The team is active, goes on tour, holds festivals, except the repertoire for an adult audience and there are performances for young children. From the railway station in Zhitomir in the theater you can drive down the street Boris Tena, Kiev or Gogol. By public transport to get to number 3 of the cinema "Ukraine" and to walk 450 meters.